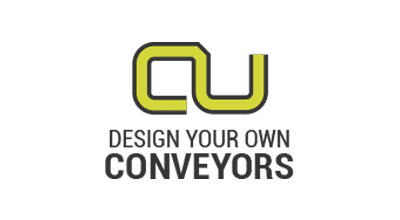 Explanation of various Conveyor industry terms and phrases. Any conveyor designed to allow a product queue (accumulation). Can be either lineshaft conveyor(UNI-XU), belt under roller conveyor, 24 volt zero pressure conveyor, micro V-Belt conveyor, belt conveyor or gravity conveyor. Available with steel bright zinc plated rollers or grey rigid PVC tube either as a powered roller accumulation conveyor system or gravity roller conveyor. A combination of BTA ball transfer units fitted into a welded plate within a framework to enable products to be easily manoeuvred (spun) in multiple directions. BTA Ball units 45Kg. rated fitted within a standard Ball Table (see above). The part of a conveyor upon which the load rests or slides while conveyed. A flexible band placed around two or more pulleys for the purpose of transmitting motion, power or materials from one point to another. A series of rollers over which objects are moved by the application of power to all or some of the rollers. The power transmitting medium is a narrow belt which contacts the under side of the roller. Alternative to powered roller conveyors where products are conveyed using a PVC belt driven by either a geared motor unit of motorised drum. Used also for transportation of products between floors or when a change of elevation is required. A device usually mounted on a motor Shaft between motor and reducer designed to engage automatically when the electric current is cut off or fails. Wheels mounted within a support structure to enable conveyors to become portable. A drive assembly mounted underneath a standard reversible or inter-floor belt conveyor, usually supplied complete with Brake motor. Any Type of conveyor in which one or more chains act as the conveying element. Means of transferring a box from one conveyor to another via chains pneumatically lifted above the surface of the transporting rollers. A power transmission device employing a drive chain and sprockets. A covering or protection for drive or conveyor chains for safety purposes. A conveyor in which the rollers have attached sprockets driven via a duplex chain roller to roller. A driven length of belt conveyor, used to move product horizontally onto an incline/decline conveyor. Also known as a Powered Feeder unit. 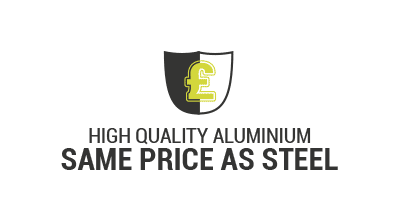 Either bright zinc plated steel, stainless steel, Nickel/Chrome plated or rigid PVC manufactured in a multitude of sizes from 25.4mm dia. up to 89mm. A combination of powered and gravity conveyor modules manipulated to fit within the required parameters of the building and system objectives. A conveyor used for transporting products down a slope. Angle of slope in degrees that a conveyor is installed. Location at which objects are removed from the conveyor. Pneumatically operated either using rollers mounted within a parallelogram or by diverting wheels as in a switch sorter. An assembly of the necessary structural, mechanical and electrical parts which provide the motive power for the conveyor. A Pulley mounted on the drive shaft that transmits power to the belt with which it is in contact. Electrical device used to stop the conveyor in an emergency. Belt, roller or wheel conveyor that may be extended or shortened within the limits of the conveyor to suit operating needs. Can also be portable. Powered or gravity roller or gravity skatewheel. Conveyors can be easily compacted to one third of their expanded length and wheeled either in or out of position with ease. Adjustable supporting members with vertical adjustments for levelling the conveyor. A section of conveyor equipped with a hinge mechanism to provide an opening for a walkway etc. Available in both powered roller conveyor and Gravity roller conveyor. Roller conveyor where products are moved by either manual push in the horizontal plane or by placing the conveyor at an angle for transportation of the goods by gravity. Rollers fitted into Gravity conveyor framework as listed above. 60mm angle or 150mm channel members mounted on the top flange of the conveyor used to prevent the products being conveyed falling or being pushed off the conveyor. HERTZ – Electrical terminology, a unit of frequency equal to one cycle per second. Most common UK cycle time is 50Hz. Determined by the elevation change from in-feed to discharge versus the degree of incline. 1” free running roller fitted between driving 50mm dia. rollers at 75mm pitch to support small/unstable loads. A middle section of conveyor not containing drive or terminal end assemblies. A pulley having the surface of its face crowned with a material such as rubber to provide greater friction with the belt. Electrical device used to sense product location. A 25mm steel bar used to support driving components of the lineshaft conveyor. A series of rollers driven via a polyurethane belt connected from an under slung steel shaft fitted with accumulating spools to allow easy product accumulation. A series of rollers over which objects are moved by the application of power to all or some of the rollers. The power transmitting medium is usually belting or chain. A simple one direction switch used to turn the conveyors on or off. A belt with a trapezoidal cross section for operating in special grooved pulleys. Utilizing Micro-V belts listed above fitted within aluminium, stainless or powder coated framework. 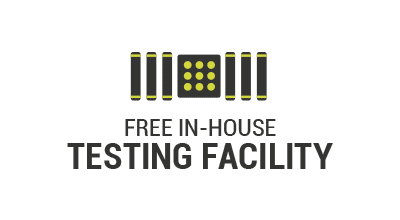 Capable of conveying and accumulating high loads at high throughput speeds. A roller fitted with its own internal 24 volt motor used for zero line pressure applications. Utilizing motorised roller listed above fitted within aluminium, stainless or powder coated framework. Supplied logic board allows for cost effective zero line pressure with individual speed adjustment and single product or slug release. A section of conveyor to provide transition from incline to horizontal or horizontal to incline. Overhead and Inverted Power Chain Conveyor Systems utilise a powered continuous chain arrangement, carrying a series of single pendants. Heavy duty roller or chain conveyor utilizing up to 89mm diameter rollers, suitable for conveying loads up to 1500Kg. Designed around both CHEP and Euro pallets. A horizontal, rotary conveyor mechanism used for transferring pallets between pallet conveyors which are in angular relation to one another. A non-driven roller placed at the ends of a belt conveyor, used to aid product transfer from start or end of conveyor. Also used as a safety precaution to prevent possible trap point between end of belt and framework. Any type of transportable or mobile conveyor, usually having supports which provide mobility. A bend conveyor which utilizes a belt driven by tapered pulleys. Any type of conveyor which requires electrical power to move its load. A driven length of belt conveyor, used to move product horizontally onto an incline/decline conveyor. Also known as a change of direction unit. The surface of the of the product that comes into contact with the rollers or belt. A wheel, usually cylindrical, but polygonal in cross section with its centre bored for mounting on a shaft. An electrical device which operates a magnetic starter. A device using a pusher arm to divert products 90 degrees from one conveyor to another, pneumatically operated using a rodless cylinder. A roller which supports the return run of the belt. A conveyor that is designed to move product in either direction. A round part free to revolve about its outer surface. The face may be straight, tapered or crowned. Rollers may also serve as the rolling support for the load being conveyed. A series of rollers used to support a conveying system. The distance measured along the carrying run of a conveyor from the centre of one roller to the centre of another. A series of rollers supported in a frame at a required roller pitch which loads are transported manually by pushing, gravity or by power. Powder coated, aluminium or stainless steel members which support the slider bed or rollers on the side of the conveyor. A geared motor mounted to the drive pulley and situated on the side of the conveyor. Plastic or steel skatewheel mounted either on a common shaft or axle or pressed into a “maltese cross” style punched hole. Supplied either as straight conveyor or bend conveyor. A conveyor section powered from another conveyor section instead of having its own prime power source. Allows all packages to be released together. Any rollers used to increase the arc of contact between a belt and drive pulley. A conveyor which is able to divert different packages or products to specific take-away lines. A conveyor section to switch unit loads to and from the mainline conveyor. Also known as a mitre section. Arrangement of members used to maintain the elevation or alignment of the conveyors. 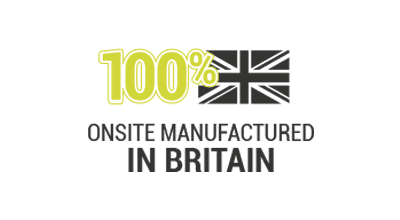 Supports can take the form of hangers, floor supports or brackets and can be either stationary or mobile. Diverting roller unit to divert products at a 30 degree angle from one conveyor line to another. The end of a belt conveyor 500mm standard unit. The assembly of the necessary structural and mechanical parts which provide the means to adjust the length of the belt and chain to compensate for belt stretch, shrinkage or wear and to maintain proper tension. A conical roller fitted in a bend unit with end and intermediate diameter proportional to their distance from centre of curve (inside radius). A curved section of roller conveyor fitted with tapered rollers. A pulley mounted at the tail end of a conveyor, its purpose is to return the belt. The quantity or amount of product moved on a conveyor at a given time. Amount of weight (Kg.) distributed over the entire length of a conveyor. Steering the belt to hold or maintain a desired path. A device or series of devices, usually mounted inside a conveyor section, which uses belts, chains, rollers, skate wheels or diverting wheels, to move products at required angles from one conveyor to another. Diamond top steel filler plates used to fill the gaps between rollers on roller conveyor. Optional conveyor belt with a central or outer fitted strip to enhance belt tracking and guiding for belt conveyors. 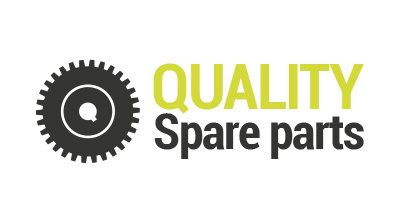 Used especially on smaller length belt conveyors and also where products are taken regularly from the side of the conveyor. Wheel mounted on an adjustable bracket to help ensure correct product orientation. A horizontal, rotary conveyor mechanism used for transferring objects between conveyors which are in angular relation to one another. Either plastic or sheet metal used to cover the underside of a conveyor section. A drive or power transmission mechanism that includes a speed changing device. A type of conveyor designed to have zero build up of pressure between adjacent packages or cartons. 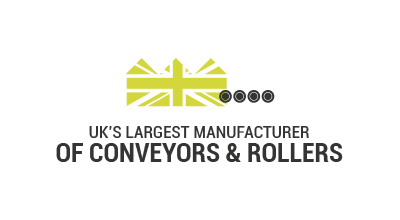 See motorised roller conveyor and micro-V belt conveyor. 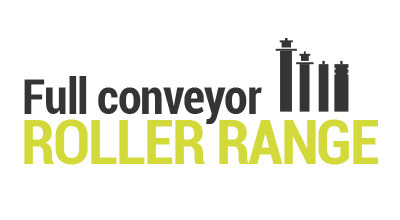 All images and graphics on this website are Copyright (©) Conveyor Units Limited. All rights reserved.